There was a lot of speculation surrounding Nintendo’s new upcoming handheld console, the 3DS, when it was announced last year because of the fact that you won’t need large, unsightly, and expensive 3D glasses to experience 3D images. Equally as many people thought (and some still do) that trying to produce this on a larger scale would undoubtedly bring with it a bucket load of more problems. Well Toshiba seems to think otherwise. 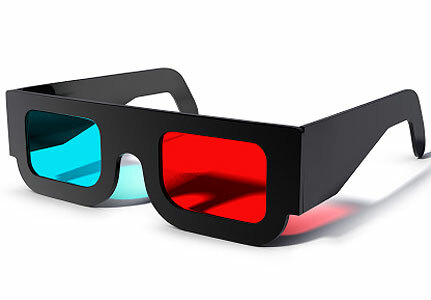 Next week they will be unveiling their first ever “glasses-Less” 3D TV. There’s already been a fair bit of scrutiny by other manufacturers and developers saying that its going to be at least 2013 before anything close to this will arrive and even then they’re not too sure it will even work well with the masses. Right now, a lot of people aren’t too bothered by 3D TV anyway, let alone forking out for extra sets of glasses for when you have mates round or that said, a pair for each member of the family. So is it safe to be brining this kind of technology to the public when they’re not even sure if 3D TV WITH glasses is even necessary?? Unofficially, a Japanese newspaper has said that this is set for release around Christmas this year though Toshiba have only stated that they are currently working on the technology. Personally, we’re not sure though it will be interest to wait and see how the market for 3D television sets takes hold. Watch this space. any info on the size and price?